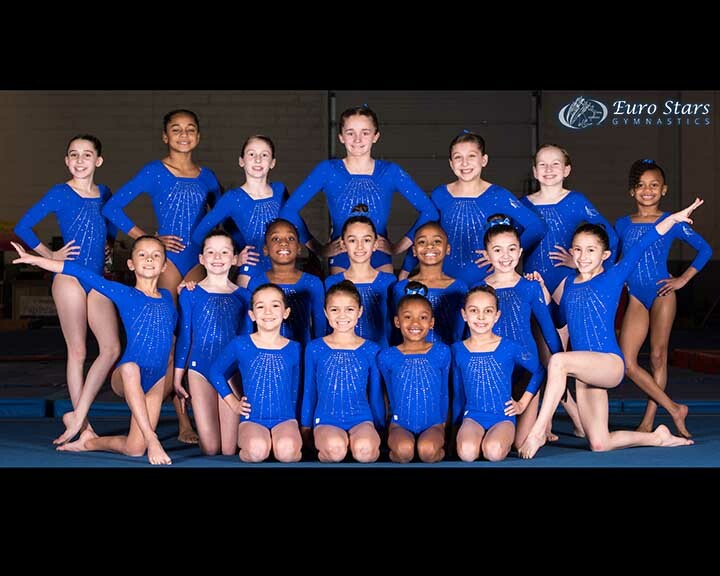 Euro Stars Gymnastics has a successful compulsory team that trains at Kids Kingdom Sports Center in Plymouth, MI. Girls are evaluated or participate in try outs to make team. The entry level team program is level 3. These try outs are open to both current students and the public. USAG requires that gymnasts have reached the age of 6 to compete at Level 3 or above. USAG Level 3, first year competition trains 9 hours per week. Training begins in July and continues year round. Competition season is approximately from December – May. Level 3 girls compete in approximately 10 competitions, one or two will require travel outside of Michigan. USAG Level 3, second year competition trains 12 hours per week. Training begins in July and continues year round. Competition season is approximately from December – May. Level 3 girls compete in approximately 10 competitions, one or two will require travel outside of Michigan. USAG Level 4, first year competition trains 12 hours per week. Training begins in July and continues year round. Competition season is approximately from December – May. Level 4 girls compete in approximately 10 competitions, one or two will require travel outside of Michigan. USAG Level 4, second year competition trains 16 hours per week. Training begins in July and continues year round. Competition season is approximately from December – May. Level 4 girls compete in approximately 10 competitions, one or two will require travel outside of Michigan. USAG Level 5, trains 16-20 hours per week. Training begins in July and continues year round. Competition season is approximately from December – May. Level 4 girls compete in approximately 10 competitions, one or two will require travel outside of Michigan. 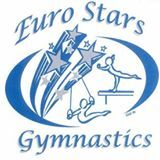 Euro Stars Gymnastics compulsory team consists of Gymnasts competing at JO Levels 3-5. Our gym is based in Plymouth, MI and our gymnasts compete in local and limited travel meets.